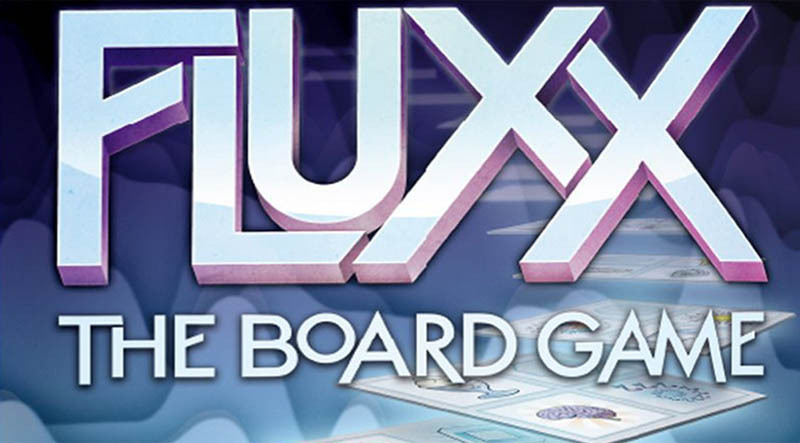 At the start of the game, each player holds three cards and on a turn a player draws one card, then plays one card. By playing cards, you can put new rules into play that change numerous aspects of the game: how many cards to draw or play, how many cards you can hold in hand or keep on the table in front of you, and (most importantly) how to win the game. There are many editions, themed siblings, and promo cards available. 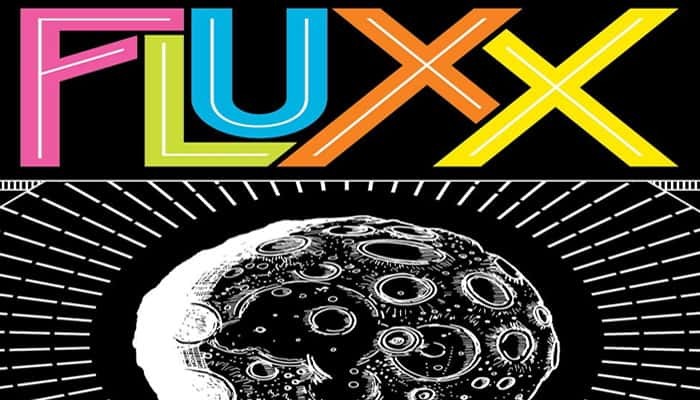 Fluxx is a game about change that changes as you play it - it's never the same game twice! 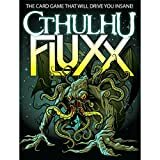 Just about everything in this game is in flux: the number of cards you draw and play each turn, how many times you move your pieces, and even the current arrangement of the ever-changing gameboard. How do you win? That too is subject to change! How Is This Different From The Card Game? Q: What happens if I want to play a New Rule but there's already a New Rule in the center on the table? Does it replace the old New Rule, or do they peacefully co-exist? A: It all depends on contradictions. There's no limit on the number of New Rules that can be in play at once, as long as they don't interfere with each other.